Kendriya Vidyalaya Sanghathan (KVS Recruitment), an Autonomous Organisation under Ministry of HRD has announced the recruitment for total 1017 vacancies of non-teaching posts of Administrative Officer, Lower Division Clerk (LDC), Upper Divison Clerk, Librarian, Finance Officer, Assistant Engineer, Stenographer, Hindi Translator, in Kendriya Vidyalaya Sanghathan (KVS). The online registration for KVS Recruitment 2018 will from 21.12.2017 and ends on 11.01.2018. The link to apply online for KVS recruitment 2018 (non-teaching posts) will activate on 21.12.2017. Kendriya Vidyalaya Sanghtan KVS Recruitment, an autonomous organisation under the Ministry of HRD has announced recruitment of 1017 Vacancies for various non-teaching posts. Some of the various posts in KVS include administrative officer, lower division clerk, upper division clerk, librarian, finance officer, assistant Engineer, Stenographer, Hindi Translator. KVS recruitment begins from 21st December 2017 and will go on till 11th January 2018. 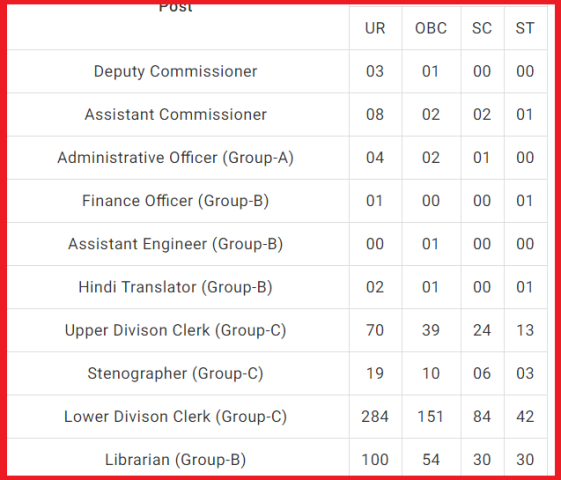 Lower Divison Clerk (Group-C): Maximum 27 years Class XII from a recognized board with a typing speed of 35 w.p.m in English or 30 w.p.m in Hindi on Computer. Librarian (Group-B): Maximum 35 years Bachelors degree in Library Science or graduate with a one-year diploma in library science from a recognized institution.